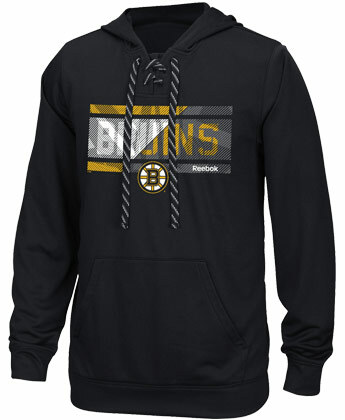 #NHLAFFRZSTRBOS Plan your strategy for cooler temps with this "Freeze Stripe" hooded sweatshirt from Reebok! This team color pullover sweatshirt features screen printed team graphic on the center chest, Reebok branding on the front, rib-knit cuffs and waist, hood with skate lace drawcord, and front pockets for added warmth. Made from 100% polyester using the Speedwick technology.